Three Samford University students - Ashley Martin, Victoria Rogers and Paige Toulon -- will be featured on a segment of "Life on the Rock" on the Eternal Word Television Network (EWTN) that begins airing May 16. The May 16 show airs at 7 p.m. CT. Additional airings are May 18 at 10 p.m. CT and May 20 at 8 a.m. Viewers should check local listings for the channel carrying EWTN. 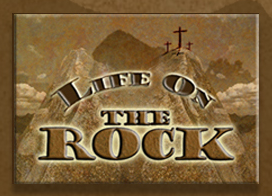 "Life on the Rock" is a "dynamic, Christ-centered, youth-oriented talk show" and is one of the top-rated shows on EWTN, according to David Clark, a spokesperson for the EWTN Global Catholic Network. EWTN is based in the Birmingham suburb of Irondale. The segment was taped in April, and the students, who all are active with Samford's Catholic Student Association, discussed a wide range of topics including the Sam Not Stan marketing campaign, religious life on campus and several academic programs. Martin is a senior journalism and mass communication major. Rogers and Toulon are senior nursing majors. They are among the 166 Samford students who list Catholic as their religious preference. Clark said the segment should be posted to the network's YouTube channel soon after it airs.